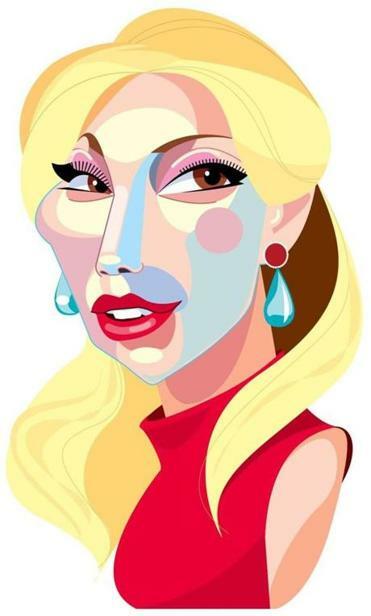 Lady Gaga is the celebrity partner for the Staples for Students program. Katy Perry famously got into an ongoing feud with Taylor Swift. But maybe she should train her sights on Lady Gaga instead. After all, Staples decided to work with Gaga this year as the celebrity partner for its Staples for Students program. Perry, it turns out, is so 2016. A Staples spokeswoman said no slight was intended. Perry was also involved in the campaign in 2014, before Staples worked with singer Nick Jonas. Staples picks celebrities that appeal to both moms and teens. They also need to have a demonstrated interest in helping students. A huge social media following — Gaga has 67 million followers on Twitter, while Perry has 100 million — sure helps, too. So why did Lady Gaga get the honors this time around? The Staples spokeswoman said company executives were impressed with her work in schools through her Born This Way Foundation. Staples is sponsoring Lady Gaga’s summer tour and donating $1 million to her foundation to help create positive classroom experiences, alongside a corporate $1 million gift to DonorsChoose.org to support teachers and students. As part of the campaign, Staples has created a new public service announcement with the singer that features a call to action to promote kindness in school and support teachers so they have the resources they need in the classroom. Gaga fans will get the chance to enter a sweepstakes to win a $50,000 scholarship and a trip to Las Vegas to meet the singer and attend a concert. Five additional winners will get the Vegas trip and concert tickets. Getting selected to become a fellow at the Barr Foundation, Boston’s biggest private philanthropy, has many benefits, and one of them just got even better. Fellows who used to receive a $40,000 grant for their organization now get more than double — $100,000. Foundation officials said the increase can help pay a fellow’s salary while they take time off to participate in the three-month sabbatical that’s part of the program, among other things, as well as workshops and professional development for interim leaders. Some fellows are from small nonprofit organizations with budget and staffing constraints. The movers-and-shakers picked to participate in the next class of fellows includes Beth Anderson, founder and chief executive of the Phoenix Charter Academy Network, which operates schools in Lawrence, Chelsea, and Springfield; Clementina Chery, president of the Louis D. Brown Peace Institute, which helps people affected by murder and trauma; Yusufi Vali, executive director of the largest mosque in New England, the Islamic Society of Boston Cultural Center; and David Waters, chief executive of Community Servings, a Jamaica Plain nonprofit that delivers nutritious meals to the chronically ill.
Well, it looks like Boston Pizza is finally coming to its namesake city. The Canadian pizzeria chain has steered clear of New England — until now. The story goes that Greek immigrant Gus Agioritis was so inspired by the city of Boston, even though he never lived here, in the 1960s that he decided to name his Boston Pizza and Spaghetti House in Edmonton, Alberta, after it. The company does business in the United States as Boston’s Restaurant & Sports Bar, and construction is underway for Boston’s first Boston’s on Boylston Street in the Fenway neighborhood. So far, the company has 400 locations in Canada, 30 in the United States, and 14 in Mexico. Franchisee Manny Patel hopes to open the Fenway restaurant by the end of the year, and he is also scouting for a second location. Patel and his family own a number of different retail and hospitality business ventures. Here’s another one that’s new to Boston: Patel is bringing Second Cup Coffee, also a Canadian concept, here, and will start with one franchise near TD Garden. Eric Taylor, head of the pizza restaurant chain’s Dallas-based US operations, said he has tried to ensure that Boston themes are prevalent in all of the stores under his purview. Taylor has dictated that a picture of David Ortiz hitting a home run at Fenway Park, and a map of the city, be on display at all US restaurants. Samuel Adams should be available. And Taylor is experimenting with adding New England-style dishes to the menu. No one seems to be griping, even in cities that have longstanding sports rivalries with Boston.